le5venice contemporary art gallery is housed in a prestigious building that overlooks the charming Campo San Fantin and La Fenice Theatre. Having once housed the ancient Mint of Venice and then a pharmacy, today the building still maintains its original structure, with inlaid marble flooring and splendid 19th century wood furnishings. Inside this precious jewel lies the gallery’s collection of works of art. The exhibition continues in a 100 m2 space in the adjacent calle Minelli where the display unfolds over three internal rooms and two delightful private courtyards – a great setting for vernissages and events in the gallery laid out in unique “le5venice” style (antique furniture, mirrors, lamps and Moroccan home accessories). The gallery was founded in 2009 by director Tea Gualdo. Her skills as an architect combined with her passion for contemporary art, resulted in a striking and feminine style of rare good taste. The gallery specializes in contemporary art and photography and, since the “Passeggiata evanescente” exhibition in September 2010 – held in conjunction with the 12th International Architecture Exhibition – le5venice has become the exclusive point of reference in Venice for the “Colomba Leddi” studio in Milan. 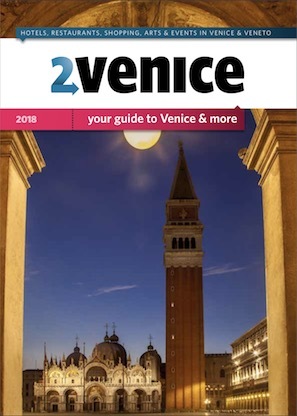 How to get there: Situated in the Campo of La Fenice Theatre. Vaporetto stop: Santa Maria del Giglio.